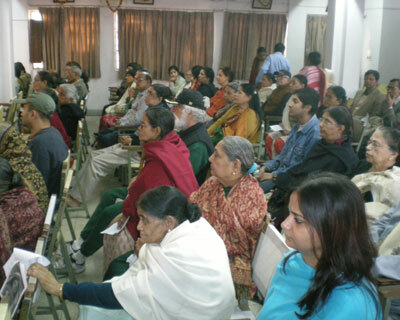 New Delhi 30 January 2010: On the auspicious day of Magh Purnima, Delhi devotees joined together and held a grand function to mark the 500th anniversary of Sri Chaitanya Mahaprabhu's Sanyas at the Kali Mandir, Chittaranjan Park, New Delhi. 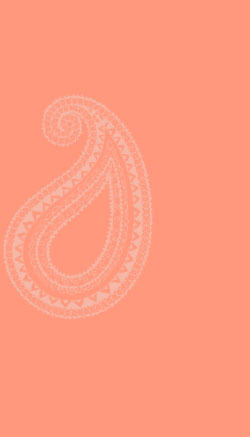 The idea, inspired by Baba, took shape in an event of 3 hours with a padavali kirtan on the Sanyas of Mahaprabhu by Smt. 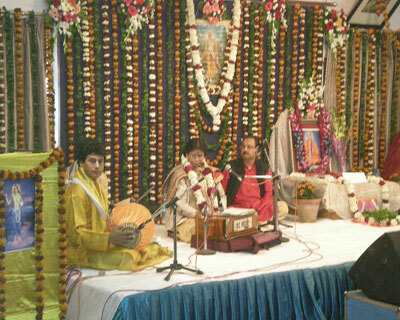 Shima Acharya Choudhury, the well-known kirtan artist and disciple of Sri Chabi Bandhopadhya, from Kolkata. Shima ji enthralled the audience and had them in tears with her touching rendition of Mahaprabhu's sanyas for the benefit of the world. 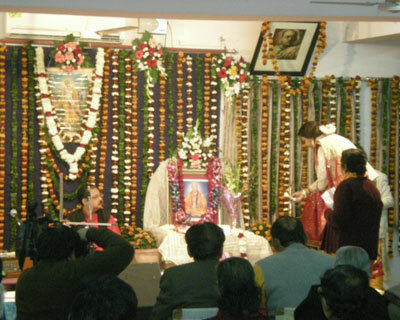 The Netaji Hall was packed to capacity with over 250 people occupying all the chairs, the floor and standing in the doorway. 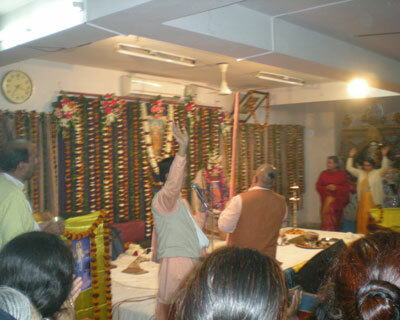 Sri Srimat Bhakti Vichar Vishnu Maharaj, the Head of the Sri Chaitanya Gaudiya Math in Delhi attended the programme alongwith 40 other devotees and brahmacharis from the Pahar Ganj Math. As soon as he entered, he offered dandavat pranam to Baba's picture and sat down. After the padavali, Maharaj ji took the dais and gave a rousing talk on the identity of Mahaprabhu (Sri Vrajendranandan Krishna) and the importance of his taking sanyas. 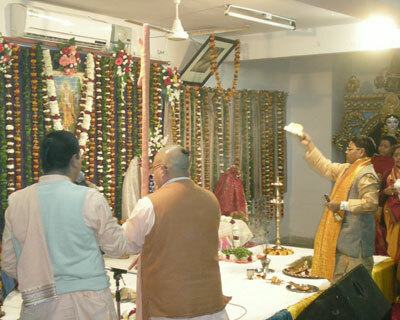 Maharaj ji specifically appreciated the initiative of Sri Gauranga Ashram devotees in observing the Sanyas centenery of Mahaprabhu this year. He said, "Everyone celebrates His birth anniversary and there were big celebrations for Mahaprabhu's 500th birth centenery 20-25 years ago, but this is the first time that I have seen Mahaprabhu's 500th Sanyas anniversary being observed. This is a very good thing." Maharaj ji also said that Baba's Gurudev Sri Srimat Bhakti Pradip Tirtha Goswami Maharaj was one of the pioneers of preaching Krishna Consciousness in the West in the early part of the 20th century. 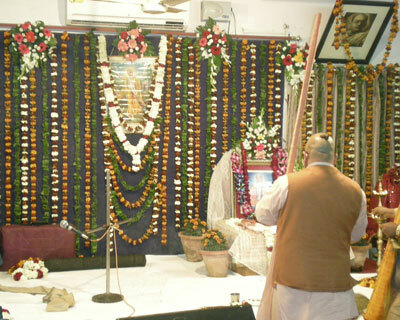 He said that it was fitting that Bhakti Pradip Tirtha Maharaj's disciple Sri Bhakti Sravan Maharaj' Sri Gauranga Ashram should be the first to also observe the 500th Sanyas centenery - something that no one had done before in Delhi. The programme ended with aarti of Sri Gaur Hari and enthusiastic kirtan and dancing by the brahmacharis as well as all the devotees. A full video of the event will be available soon. 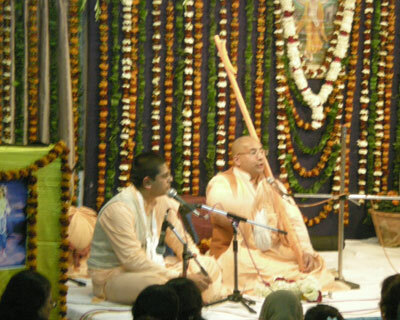 Until then here is a small clip of the aarti kirtan captured on one devotee's digital camera.